Hey there and welcome to another gift idea for Christmas, this time it's for the camera lover in your life. 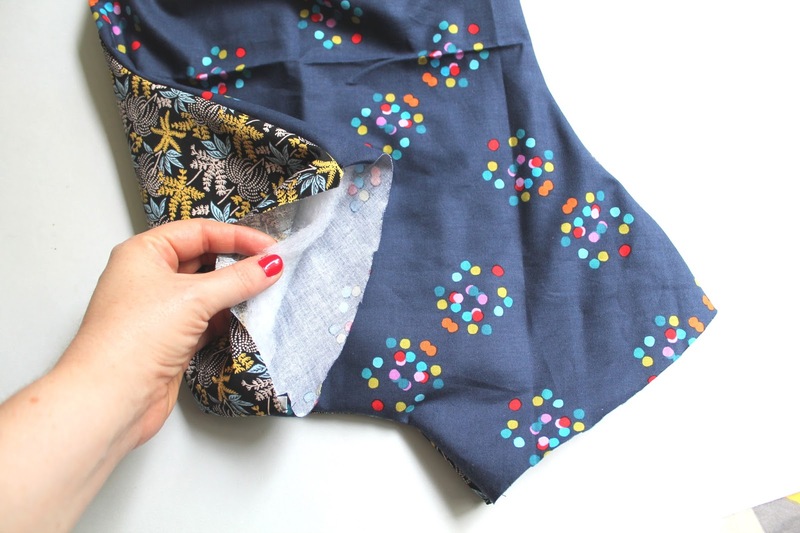 Whether that be your brother, sister, mum, dad or friend, this tutorial is super easy and with so many different fabrics out there, can be tailor made for the person in mind. 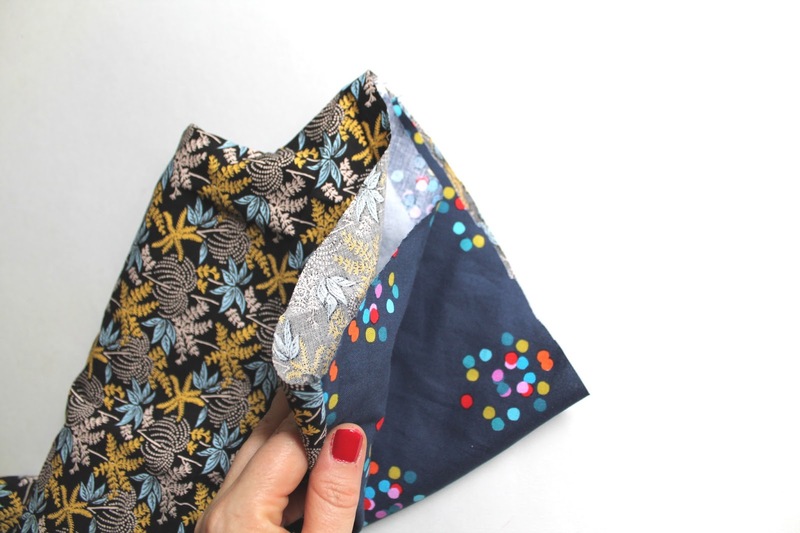 Plus it is the perfect project for using up some fat quarters. 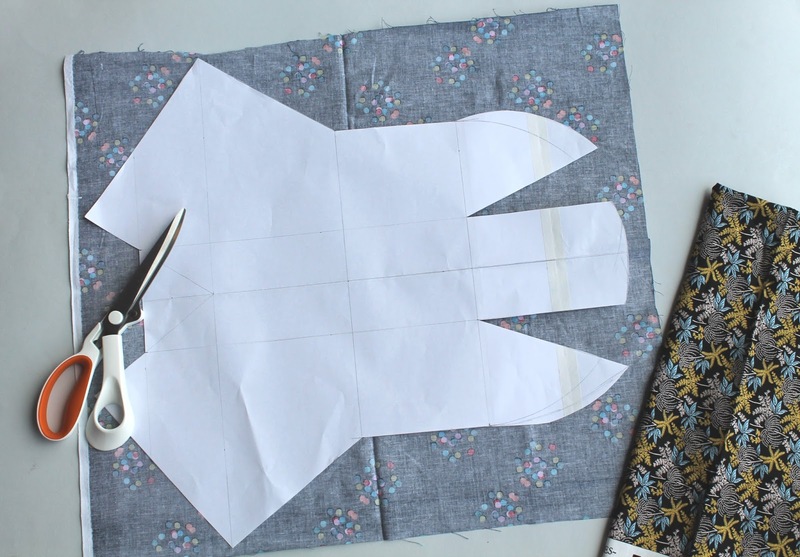 Cut out both pieces of fabric using the pattern. You will have to scale the pattern up as the download is a third of the size. I scaled it up onto a sheet of A2 paper. 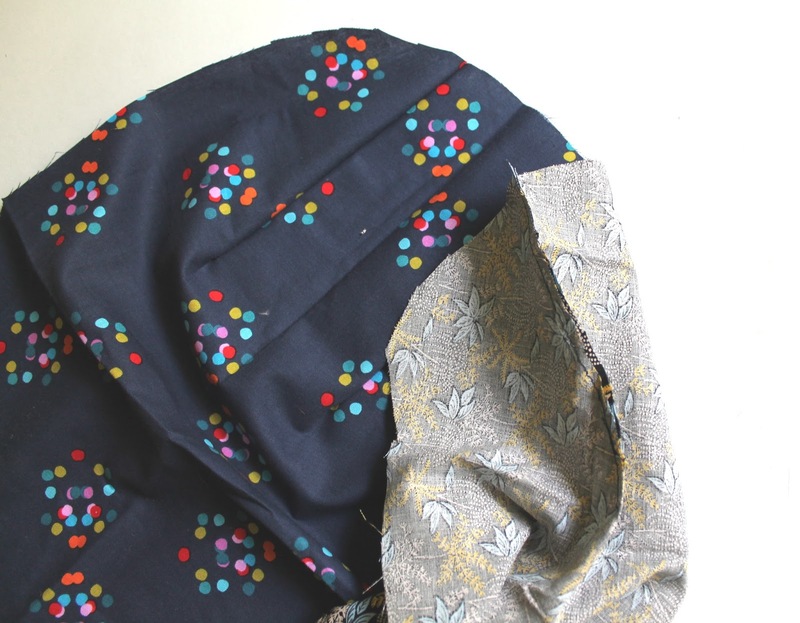 For this tutorial I used my Canon DSLR 1100D and so for whatever camera you are using you may want to check the measurements against the pattern. Most cameras have their specifications online and so a sneaky look at what your recipients camera is, will help you make sure the pouch is the right size. When I made mine, it could have done with being a bit smaller in the end for a snug fit. 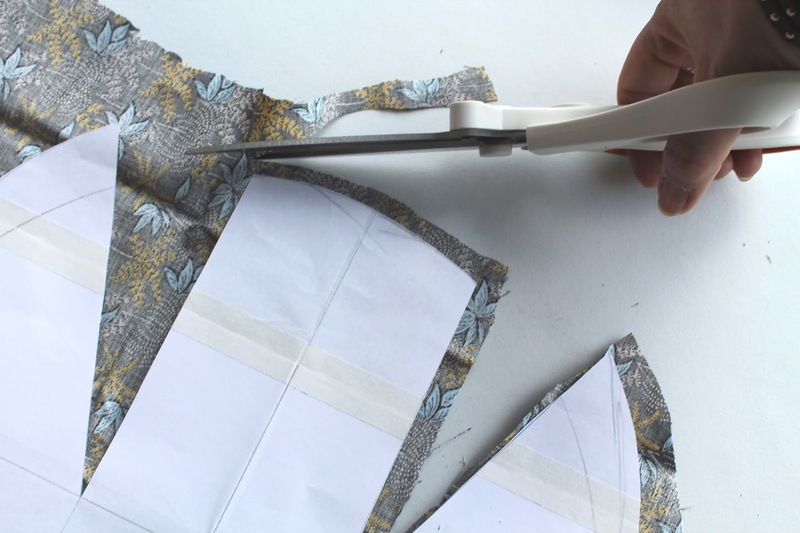 Once you have cut out both of your pieces of fabric you will need to sew the top part together (the part with the curve) which will form the flap to go over the camera. Sew along the two parts that will make up the flap to make it into a curve, you will need to do this on both of the pieces of fabric. 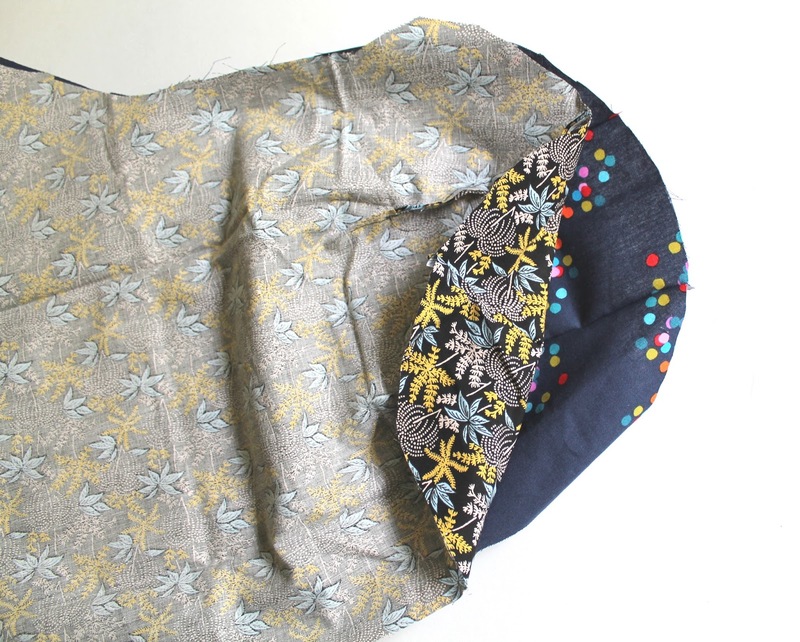 Once you have made the curve on both pieces of fabric, lay them down right sides together and sew along the outside of the fabric piece. Making sure you leave two gaps in the bottom diagonal corners as below. Cut out the wadding so that is is slightly smaller than the sewn edge. 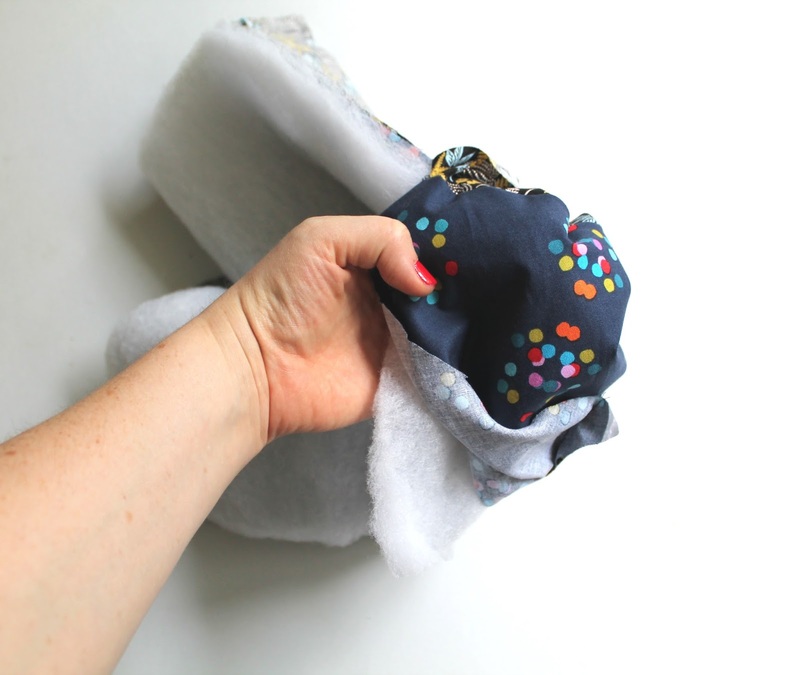 Pull the wadding through as you turn the fabric right side out. When you have pulled it through you will be able to put your hands inside the gaps you left to make sure the wadding is in the right position. Nearly there. Place the bottom section right sides together. 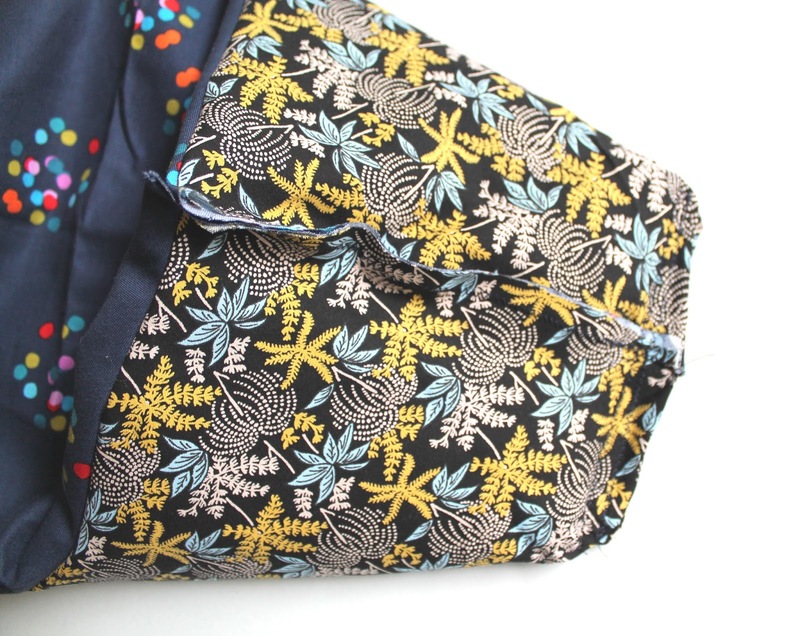 This was where it was tricky to decide which fabric I wanted to be on the outside! 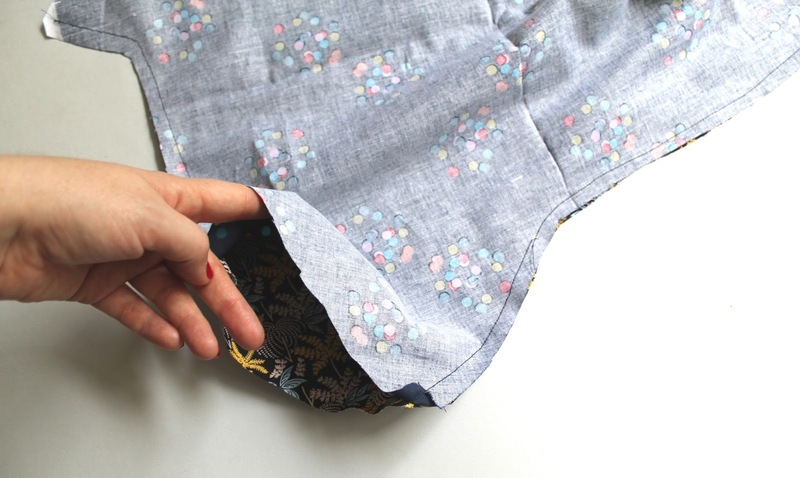 Sew along the bottom edge and along the the section where you left it open previously. Then you are done. The camera goes into the bag with the lens down and the flap protects the camera from all angles. At this point I decided to top stitch around the edge of the opening of the pouch to ensure a neat finish. All done! What do you think? Its quite simple when you have the pattern, it took me ages to get the pattern right, but making it took me less than an hour. So its a really nice simple project to make. 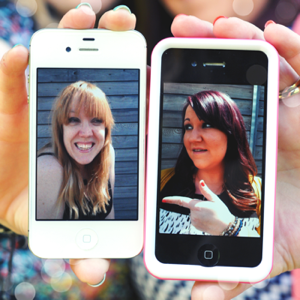 Don't forget you can download the pattern as a PDF here. 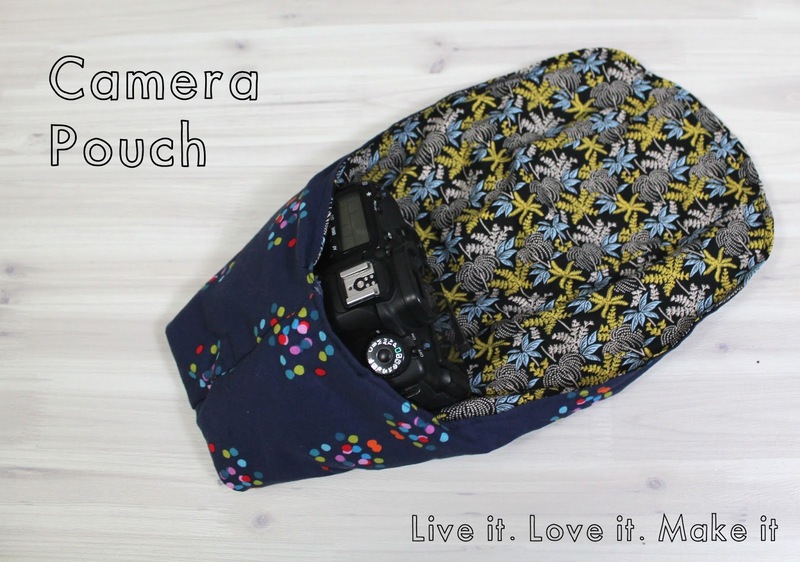 Who would you make your Camera pouch for? This one was for me, but I am thinking who else I can make them for!! Please note: Fiskars were kind enough to send us the Servocut scissors but we were not required to use them in this post or give a positive review. 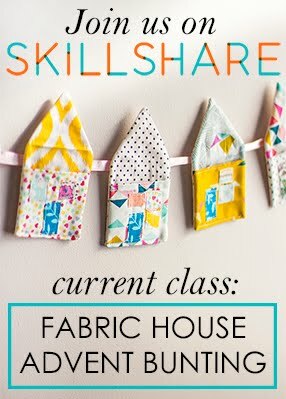 Love this project and the V & A fabric! It's the same one I used for my first ever adult sewing project - a cafetiere cosy. Bought most of my supplies except the fabric from you (already had that from the V&A sale!) too! thanks Anna, I do love a V&A fabric sale too! ooh a cafeterie cosy sounds fun! 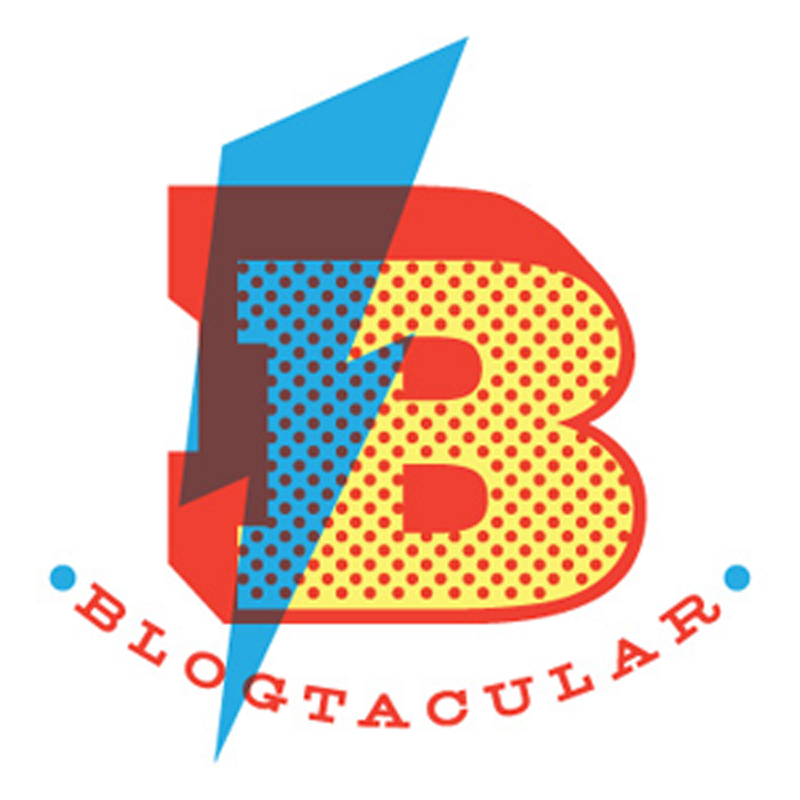 Thanks so much for sharing our tutorial with your readers, I hope they all like it. 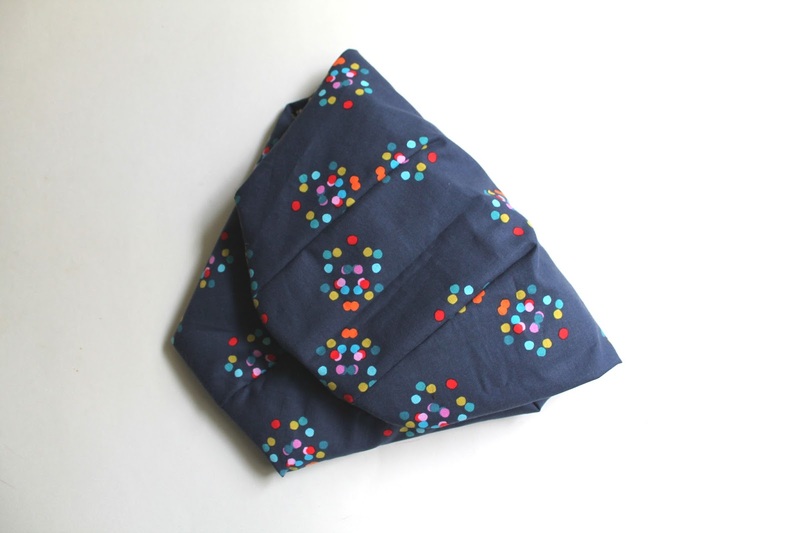 Saw this on craft gawker.. Love the navy polka dot fabric you used!! This is really great. Hey Marni! Thanks for your comment, isn't the fabric lush! It was difficult to decide which way around I should have it! aww Kate, don't have the fear! So easy when you get started! perhaps a little beginners sewing skills, just to get you started and you will be well on your way. Thanks Carmen, much appreciated. Yes these things take time, but worth it in the end. 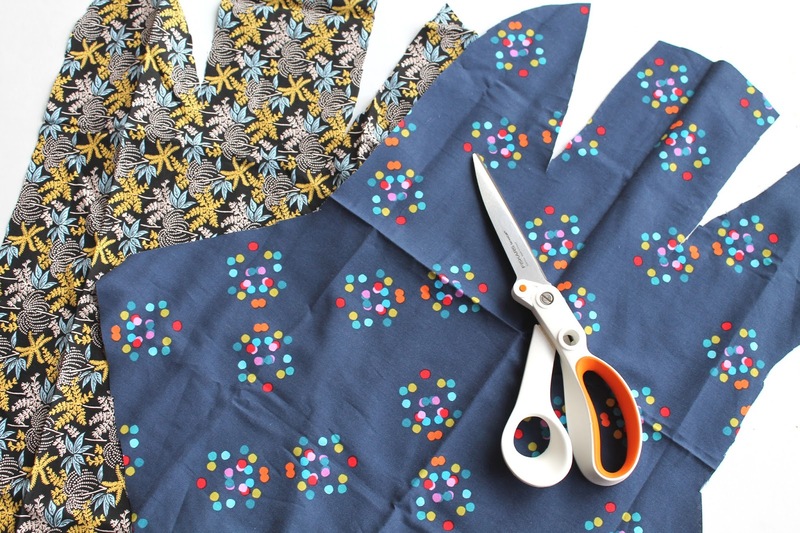 Wouldn't you want to press your fabric before cutting out the pattern? Yes of course you can Julie. You can do it afterwards if you want too. I'm afraid time got away with me on this project and so I didn't. Have fun with it if you make one! 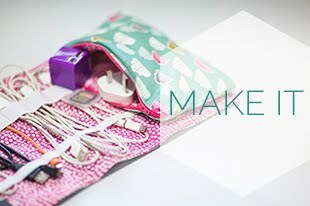 Hi thank you very much for this tutorial and I really want to make it for my camera but my DSLR is a Canon 60D and I am having problems trying to get the pattern to the right size for it. 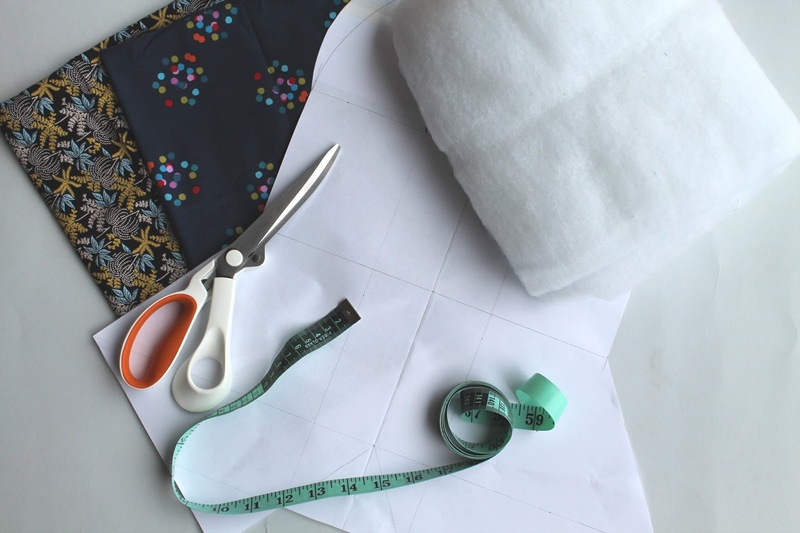 It would be helpful if you could give me the measurements for each part of the pattern so that I can then calculate how much I need to increase the pattern. Thank you. Hi Abi, if you send over a quick email to liveit.loveit.makeit@gmail.com I will send you over a little sketch with dimentions. 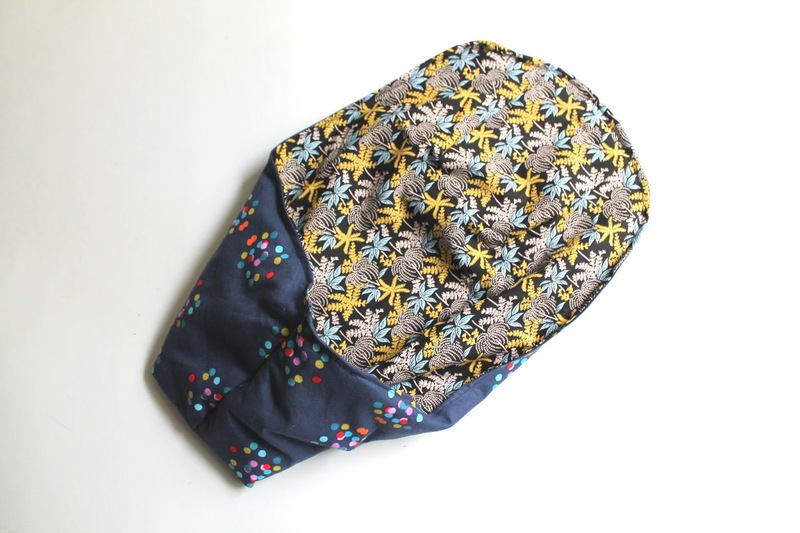 I am new to patterns and sewing and I am having a hard time figuring out how to scale the pattern to the correct size for printing. How much do I set my printer for.... 300%? And is it supposed to print in landscape or portrait? I appreciate any help you can give me. Hi Jennifer, I have just done a quick sketch with measurements for someone else, so send us a quick email to liveit.loveit.makeit@gmail.com and I will send it over. It might be a bit more handy. This worked great. For those who are wondering about scaling, you can open the PDF in Adobe viewer, then under "print" choose "poster" and set the tile scale to 300%. It will print on 12 sheets of A4/Letter paper. Pattern fit my Canon Rebel T1i with its 250mm lens perfectly. Thanks so much for letting us know the scale dcsinglegirl, glad it was a good fit too. Hi, thanks a lot for this tutorial, that's great! I have a Canon 1100D just like yours. You wrote "When I made mine, it could have done with being a bit smaller in the end for a snug fit". This means that you suggest to made the pattern a bit smaller in the end (the lens part? ), or the pattern ready to download is already at the right size? Hello, thanks for your comment. I made the pattern before as so it is a bit larger. I gave my seem allowance as 1cm in the pattern and so maybe try with another 1cm. 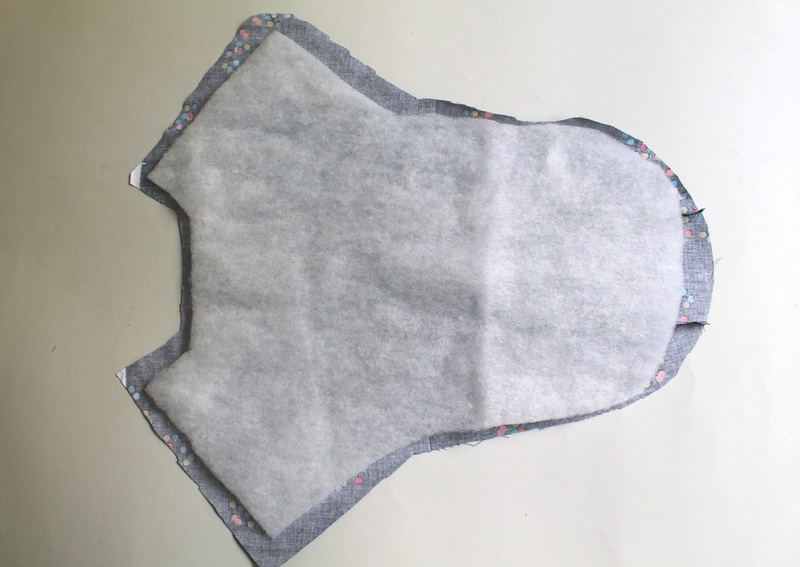 Or make as the pattern and when you get to the stage when you are sewing the two sides together you can check, then you can always add a smaller seem inside. Always easier to make it smaller if you need to. 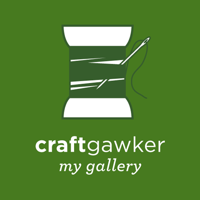 Sew Crafty Online Is Open!